It is so fun to share the news of a child (and whether that baby is a boy or girl)! 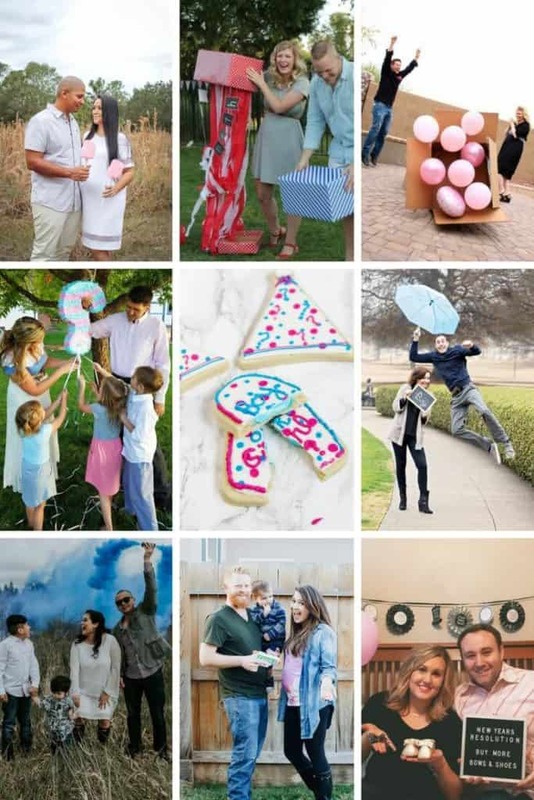 I love seeing the creative ways to let everyone know that are out there in blogland and on Pinterest, and today have rounded up some of my favorites, including some easy gender reveal ideas (since Mama has enough on her plate). For our first child, both my husband and I wanted to find out, and while we found out at our ultrasound, we had a fun long distance gender reveal for our families. It was a great way to get everyone involved even though they couldn’t be here with us for a big gender reveal party. This time around, I really wanted to be surprised. My husband? Not so much. He just had to know if he was getting a boy or another little girl! Knowing he could never keep the secret if only he found out (without torturing me about it for the next 4-5 months) I wanted to have some element of surprise. I decided we would have a gender reveal of some sort so we could find out together, and found myself looking at all the great ideas on Pinterest. We did something with our family over Skype again for a reveal (which hopefully I’ll get to sharing soon), but here is how we announced it on social media! We opted for a simple photo and let a prop do the talking for us. I am so excited for Charlie to have a sister! I have two of my own, and can’t wait to see all the cuteness that is in store for us! *P.S. * My tank top was sent courtesy of Pink Blush, on of my favorite places for maternity clothes. I love the length of it! Ok here is what you came for! 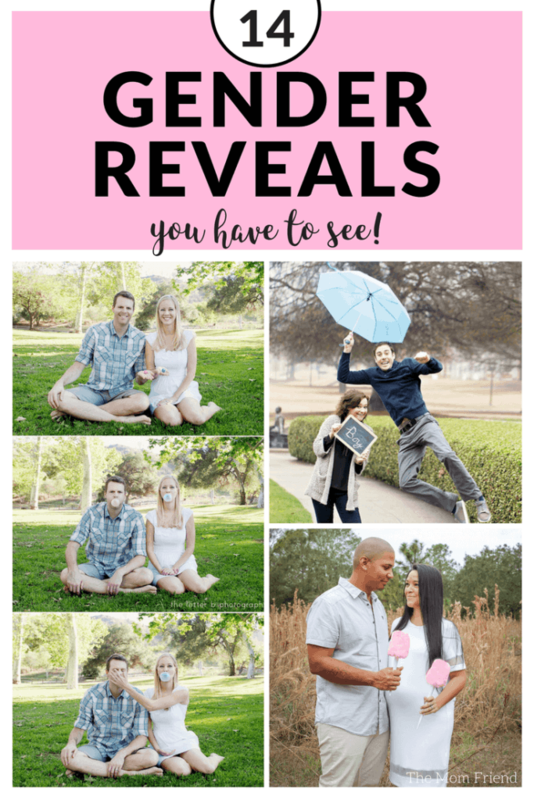 Here are some more super creative and unique gender reveal activities… hopefully they inspire you to come up with your own version if you are finding out as well! “Sweet” reveal using cotton candy by Most Things Mom | I love this! Such a cute idea to take something sweet and simple like cotton candy to announce they were having a baby girl! 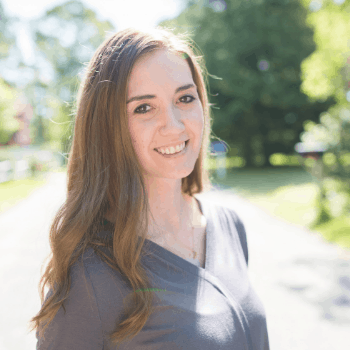 Patriotic reveal from Lady and Laura Kate | Who says gender reveal parties have to have blue and pink? If yours falls around the 4th of July, or if you are a military family, why not do red and blue instead? Check out their post for more patriotic gender reveal decorations and ideas too! Box of colored gender reveal balloons at Espresso Ever After | How cute is Dad’s reaction in this photo? Gender reveal boxes of colored ballons have been around for a while, but you could also have someone take a photo of you doing it and use that to announce it on social media! Bonus if you catch a reaction like this one! Gender Reveal Pinata from Little Dove | We ALMOST did a pinata for our reveal. I thought it would be fun for Charlie to whack at, but my husband thought it would be even more funny to send a pinata full of colored glitter to our parents for them to open and have to clean up! HA! We ended up doing something else, but I was going to order this one if we did. Gender reveal cookies from Simple Moments Stick | These are some serious baking skills! No “sweeter” way to share the news than a dessert with colored filling! I think these cookies would be the perfect gender reveal food—then everyone gets one! We did something similar by sending gender reveal truffles to our families (see how to do it in 5 simple steps here). Umbrella reveal from My Life Well Loved | I’m seriously in love with this photo. A simple prop like an umbrella makes for such a fun announcement, and I love how unique the concept is! Colorful Gender Reveal Smoke Bomb reveal from Raising Jay and Abel | A gender reveal smoke bomb is the perfect background for a photo reveal or during a party—it is big and visible and makes no mistake as to what color is showing! Water Gun Paint reveal from Nicole and the Couches | How fun is this idea? It’s not often a preggo mama is asking people to shoot her in the belly! You could also get the whole family in on the fun with a big ole’ water fight! Letterboard Pregnancy and Gender New Years Announcement by the Rowdy Gowdys | Who says annoucements have to be flashy? Why not use simple things like a letterboard and baby moccs and tie them into an upcoming holiday like the Rowdy Gowdys did? Love the backdrop and this could be easily adapted for any holiday! The great thing about gender reveals is that there are no limits! You could do a photoshoot, a party, or announce it using fun items on social media. Or rock a gender reveal tshirt and wait for people to notice. Or if you are in for a surprise at birth you can even do a joint gender and name announcement upon arrival! Totally adorable Bubble Gum announcement from The Creative Copy Cat | This bubble gum announcement is so playful, and she gives great tips about how to get those perfect colors and bubbles for the photos. Announcement gender or name using baby clothing similar to Caffeine & Cuddles | Rather not be in the photo? 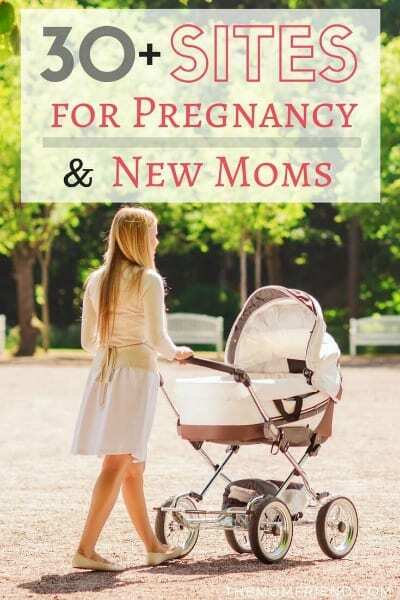 Try using clothing or baby accessories to share the news for you! You can even combine and do a name announcement and gender reveal all in one. Or announce both gender and name at birth using a custom swaddle like Bless This Happy Mess | For those who wait til birth to find out (jealous!) everyone will be anxiously awaiting the news. I love the idea of a using a custom swaddle with the baby’s name to showcase the newest family member (and give the people what the want to know) all in one! I also love the creativity (and admire the work) that goes into a Video Announcement. They help to capture the great reaction of a sibling gender reveal like this one from Oh Happy Play! Did you do a gender reveal or party? I’d love to hear about what ideas you came up with! And be sure to follow The Mom Friend on Pinterest, where I’m pinning fun ideas all of the time! Be sure to pin this to save these ideas for later! And check out these other reader favorites! Thanks for the love and I love all the other great ideas! !